Engenium | redevelopment of Rangi Ruru after the earthquakes as part of Project 'Blue Sky'. Rangi Ruru is a private girls' school in Christchurch. Prior to this they were involved in the redevelopment of the boarding school. 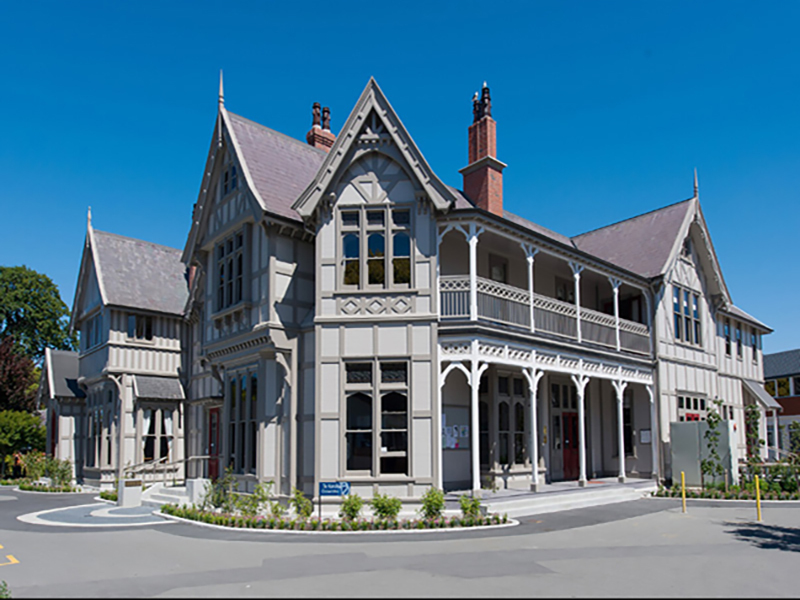 Project 'Blue Sky' is the redevelopment of the site of Rangi Ruru Girls' School, a private girls' school in Christchurch. Covering the majority of the land between Merivale Lane, Rossall Street and Hewitts Road. After the Christchurch earthquakes, some school buildings were removed and others deemed uneconomic to repair. The school decided, instead of taking the traditional, evolutionary approach and just replacing the buildings it had lost, to take the opportunity to completely review, revise and potentially rebuild much of the school in a completely different shape and form. Art and technology block - strengthening and refurbishment.